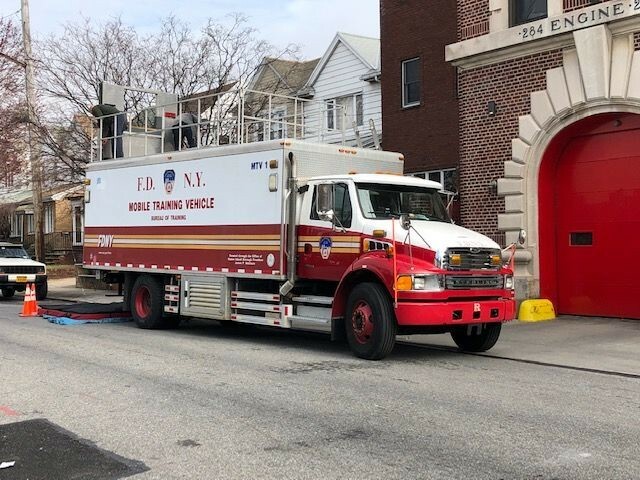 2010 Sterling used as a Mobile Training unit sent out to the fire houses for training in confined spaces, window and roof egress. My local firehouse in Chicago (E13, T6, B1) operates a Sterling van like this for the dive team. They also cover the mouth of the Chicago River and Navy Pier, as well as providing crew members for the city's fireboats, which are moored nearby. Added by Rob Johnson on 10 April 2019.